The paperback version of Duct Tape Marketing was released by my publisher today. I know this isn’t earth shattering news, but I wanted to point it out to those of you who might like to acquire a copy at the $10 lower price. Actually, I think this is a natural paperback kind of book. 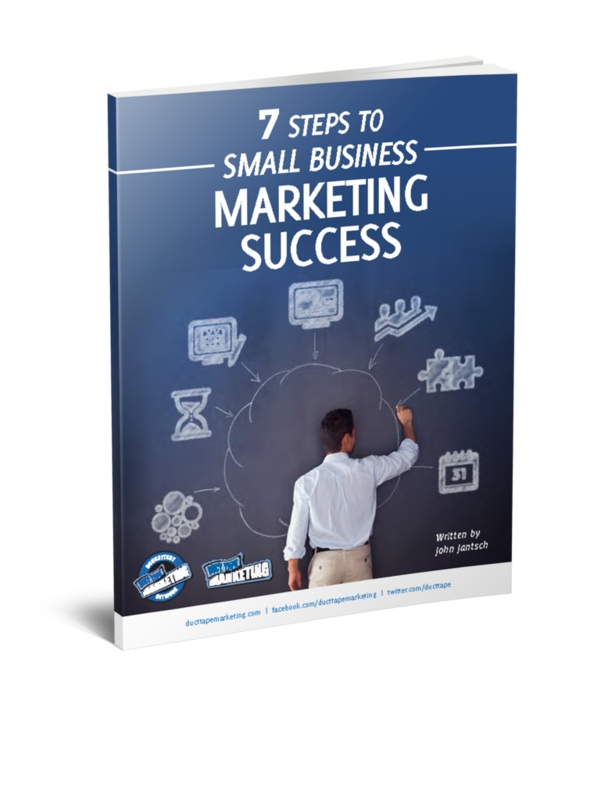 It’s really meant to be a tool, a work as you go kind of guide for setting up your marketing system, so the price and format of the paperback are ideal. I also know that a lot of my readers have purchased multiple copies to give out as gifts (I know because you’ve told me as I’ve met you out on the road.) Duct Tape Marketing is a natural for book club style reading. Groups of five or six business owners come together to discuss each chapter and what actions they have taken in their own business. As such, I have created a free Discussion Guide that gives a quick synopsis of each chapter, highlights the key points, poses tough questions, and assigns you potential action steps. If you have read the book, this is a great add-on, if you have not, this might be the introduction that allows you to see deep enough into the book to want to grab a copy – either way I hope you enjoy it.